On the surface, this is a simple, somewhat Lovecraftian story. Its undercurrents last rather longer in the memory. Its curiously restrained narration reveals much when unpacked, and not all of what is revealed is a straightforward explanation. Johnstone has an ingenious line in ambiguity and sentences that burst with revelatory meaning after they have swirled around the consciousness for a minute or two. Unfortunately, this means that some of the most quotable lines, the ones that allow you to establish a backstory and a psychological context for this account, scream "spoiler". What can be said is that for a small-size 36-page short story, this packs a lot of emotional punch. It's sometimes said as a kind of damning-with-faint-praise of a short story that there's a whole novel within it, but while that may be true here (I can see ways in which the story could be expanded to much greater length), this is a perfect lyric rather than an edited epic. We finish the story and allow its implications to dawn upon us, and they are, I think, quite devastating. 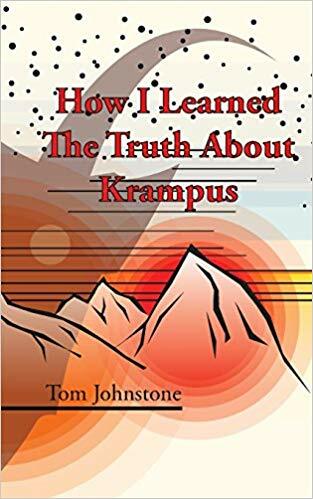 It's not quite certain what the "truth" about Krampus is, but if I read the final two paragraphs of the story correctly this is one of the bleakest and saddest confrontations with the abyss that I have read in a long time, and I would be very curious to read more by this author. If I am wrong-why, then this is still a superior story in the folk-horror mode. A win all round!